TUMC is a Christian community in the Mennonite-Anabaptist “peace church” tradition. We aspire to be a family of faith that welcomes people with diverse backgrounds and stories, worshipping together and supporting one another, while following Christ’s example in working for peace and justice in our urban contex. You are heartily welcomed to join us for the most joyous Sunday of the year as we celebrate the Resurrection! 6:45 am at Ashbridges Bay. Easter Sunrise Service hosted by Toronto Mennonite New Life Church, Head straight towards the lake from the parking lot by the marina, and keep walking to find the group along the lakeshore. TUMC is a friendly community that welcomes people of all cultural and ethnic backgrounds, sexual orientations, gender identities, generations and abilities to full participation. 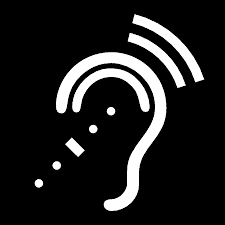 We are wheelchair-accessible and offer large-print hymnals and hearing assistance devices. We’re always glad to welcome newcomers. Whether you’re new to the city, visiting or simply curious, please feel free to check us out! For more information, check out the About Us tab. You can also follow us on Facebook for regular updates. Lent at TUMC isn’t about “giving up” things, but about taking the time to reflecting deeply on the meaning of Jesus’s life, death, and resurrection. 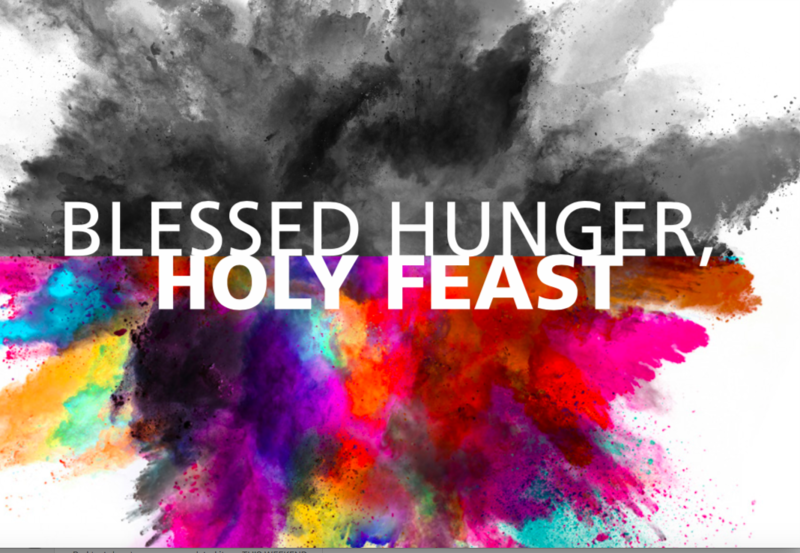 During the six Sundays (March 10-April 14) our worship services are following the theme of “Blessed Hunger, Holy Feast” and will include an opportunity for short responses from people in the congregation: poems, art, music, symbolic objects. A Lenten Guided Prayer resource is available for March 6 to April 21. For personal reflection, you may access weekly prayer suggestions and scripture readings online in our Lenten Guided Resources page. (A log-in is needed to access this section of our website. You may also ask the church administrator for a hard copy.) This year’s theme, “Prayers of Grit & Grace”, invites you to consider how God is present in the gritty or difficult places in life in order to find grace and hope. In keeping with TUMC’s commitment to working toward reconciliation between Indigenous and settler peoples, you are invited to take part in a special choral event featuring Toronto’s “Mennonite choir”: the Pax Christi Chorale, which includes several TUMC members. On March 31, they will participate in the premiere of Miziwe (“Everywhere”), the first oratorio ever written in the Ojibwe Odawa language (with English/French surtitles), by composer Barbara Croall. 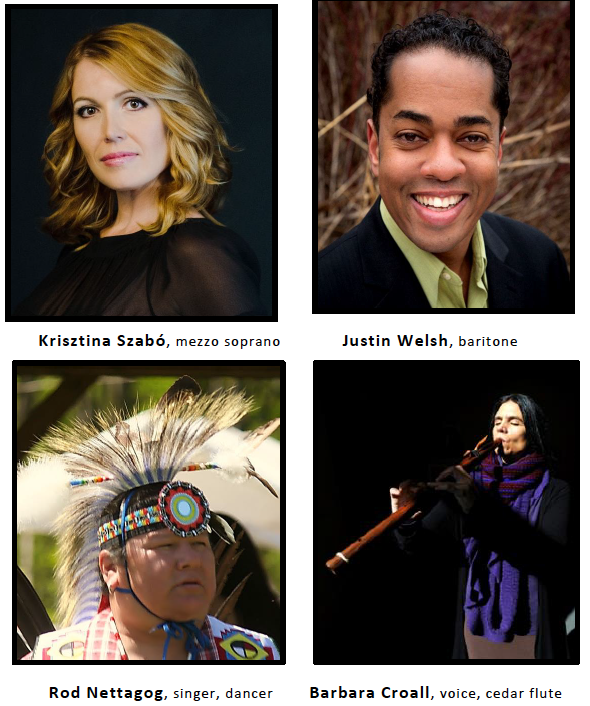 The performance of this commissioned work at 3 p.m. March 31 at Koerner Hall will feature soloists Krisztina Szabó, Justin Welsh, Rod Nettagog (singer, dancer, drummer) and Croall (voice, cedar flute). For more information, click on the photo above. 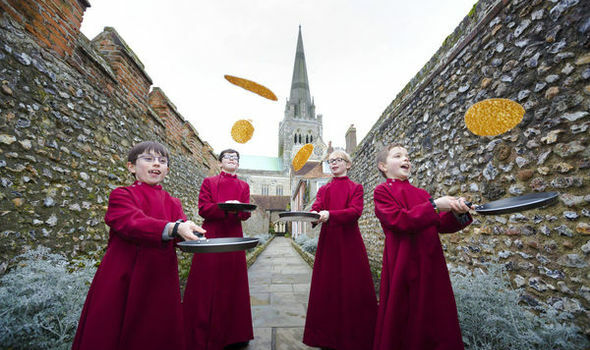 On March 5, come enjoy an old tradition of eating pancakes on the eve of Lent. This is an early evening event for the whole family. Supper starts at 6:30 p.m., followed by a one-hour concert of biblical storytelling, wending our way through the action-packed book of Acts, starting around 7 p.m.! Bring a favourite topping if you like (pancakes and syrup will be provided) and invite friends and neighbours to come along! Please RSVP to Doreen M. to give us an idea of how many pancakes to flip! (Not essential, but helpful.) 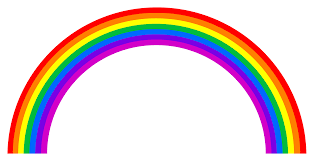 Sorry, there won’t be boy choristers doing the flipping, but you get the idea.